If you love Barbeque or would want to have delicious steaks, burgers, and flamed grilled delights, Kosher Restaurant is the place to be. With Kosher restaurant, you get several varieties of the burgers with crispy pastrami, smoked meat, and beef empanadas. You, your family and friends will surely appreciate these foods. You’ve always been out there looking for a place, preferably a restaurant to take a bite as you share with a friend; None has satisfied your taste. Try Kosher Restaurant; here we offer the best. There is no other that can provide you quality, tasty meals like the Kosher Restaurant. They have specialists with the necessary culinary expertise to provide you with distinct kinds of food from a diversity of menus. 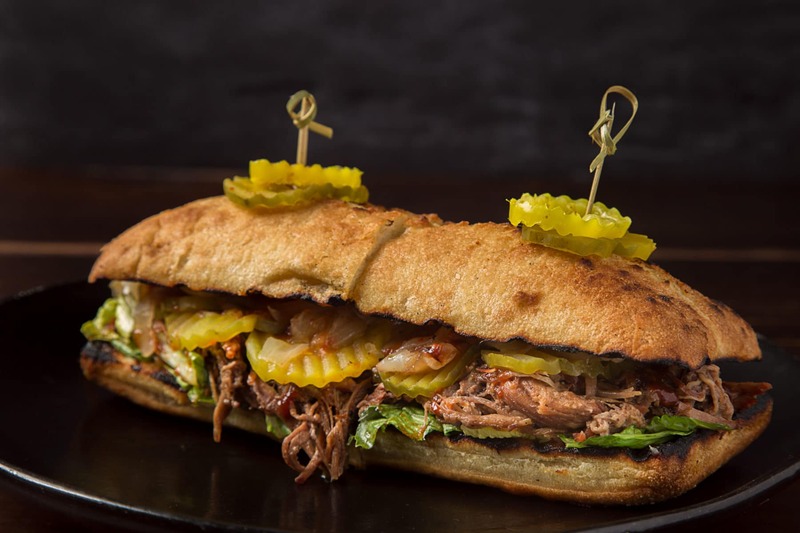 Kosher Rib Sandwich Aventura Miami is the most famous to different visitors for its great taste. With Kosher; you get the tasty steaks, hamburgers, sandwiches, small plates, flatbreads, and appetizers. Enjoy the great taste of our food outside the restaurant. In fact, you should give a chance to your loved ones to enjoy the different foods and steaks too depending on their partiality. These restaurants have alternatives for everybody, and they won’t disappoint you. Just book your reservations which take less than a minute to get you served. You make a reservation call between 10 am and noon, and you get everything ready. Kosher restaurants are a favorite for the sandwiches, burgers, and steaks. You can get Cilantro garlic with the dry chicken sandwich, Godzilla burger, Fuego Burger, Burger trio, Rub roast Fuego sandwich, and finally the spicy tuna burger. Apart from the burgers and steak, the salads and the appetizers are available; They include the Fuego flatbread pulled beef, pulled brisket empanadas, Chicken stuffed arepas, the seared salmon salad, and finally Fuego Latino salad. A kosher restaurant is a beautiful place for having a stop for meals with your family, relatives, friends, and colleagues. If you want to surprise someone with different varieties of perfectly done meat; This is the perfect place for you. Enjoy, have fun and feel relaxed with the best. One of the main attractions of these restaurants are the steaks. When you get it; you will never forget the taste and obviously, you would like to frequent these restaurants over and over again. These steaks come with different varieties. You can try any of them. In the Entrees there are many choices available for you; It includes the Baby Chicken Skewers, pabellon criollo, Kosher Sandwich Aventura Miami and Barbeque Fuego back ribs, Tuna steak, and Argentinian Churrasco. Besides the steaks; you get various kinds of meat as well. Just to mention, if you are a lover of meat, these restaurants will certainly be your choice since they provide you with many choices in your favorite food. You can get T-Rex Rib, Criollo, Rib Eye, Cowboy steak and the Chef Platter. With the many available options. Instead of selecting one every other time; you have to taste the different varieties. Chicken skewers, chicken breast, and fire roasted half chicken are available for those who love chicken.